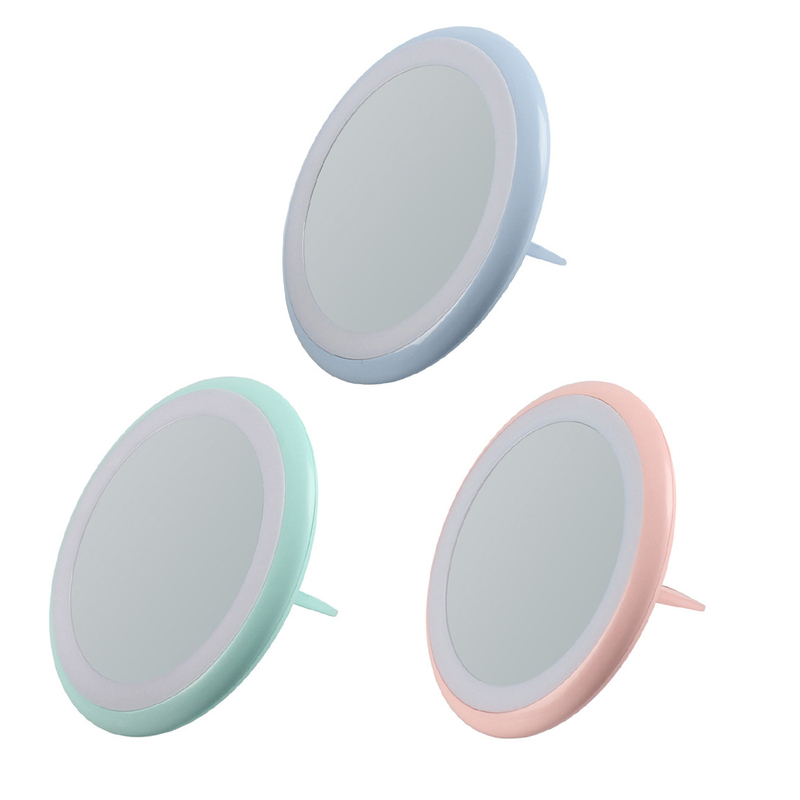 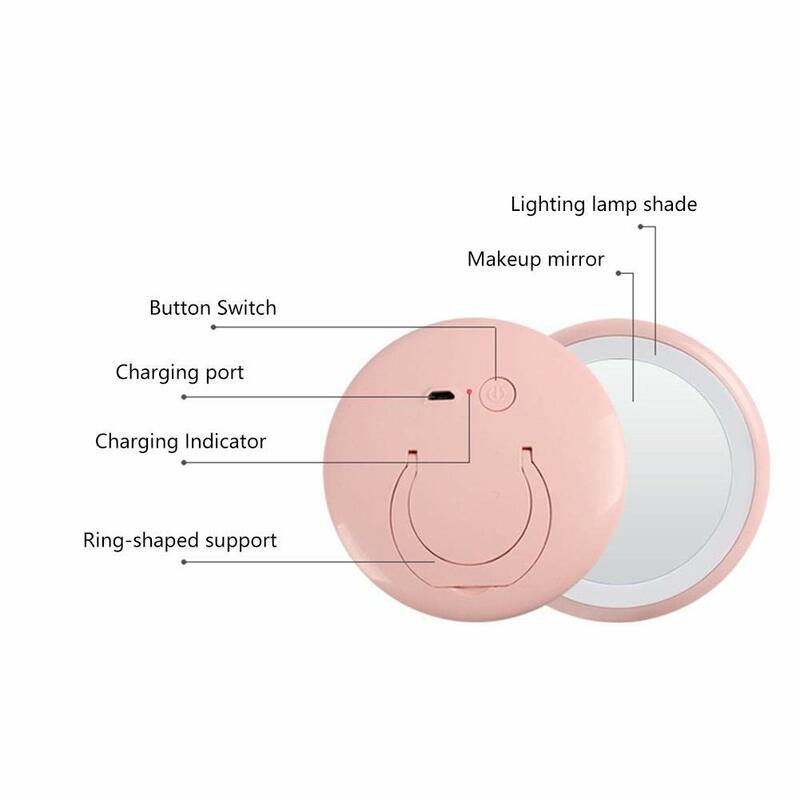 *Our cordless and portable travel cosmetic mirror allows you to get the most natural makeup, even at dark or poorly lit areas. *Space-Saving: foldable bracket, as well as small and exquisite design, every woman wants to have it, and it is easy to put in her bag every time you go out. 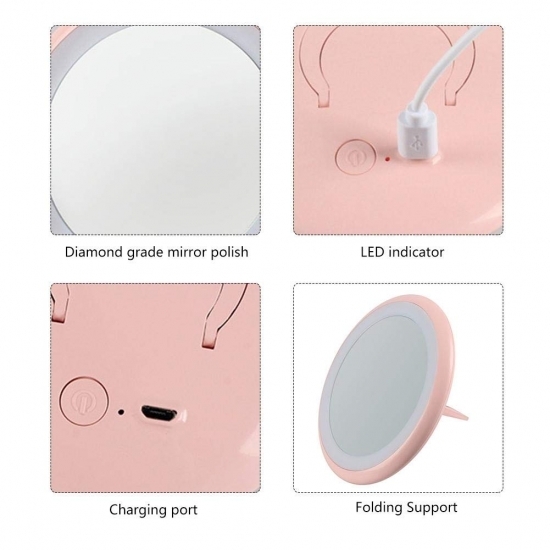 *It is perfect for outdoor and travel. When you want to makeup on the outside, you don't have to look for a mirror anymore. The ring makeup mirror makes it easy for you to make up your makeup and keep beautiful. Modern Design: Using USB charging cable, it can be recharged circularly, energy saving and environmental protection. 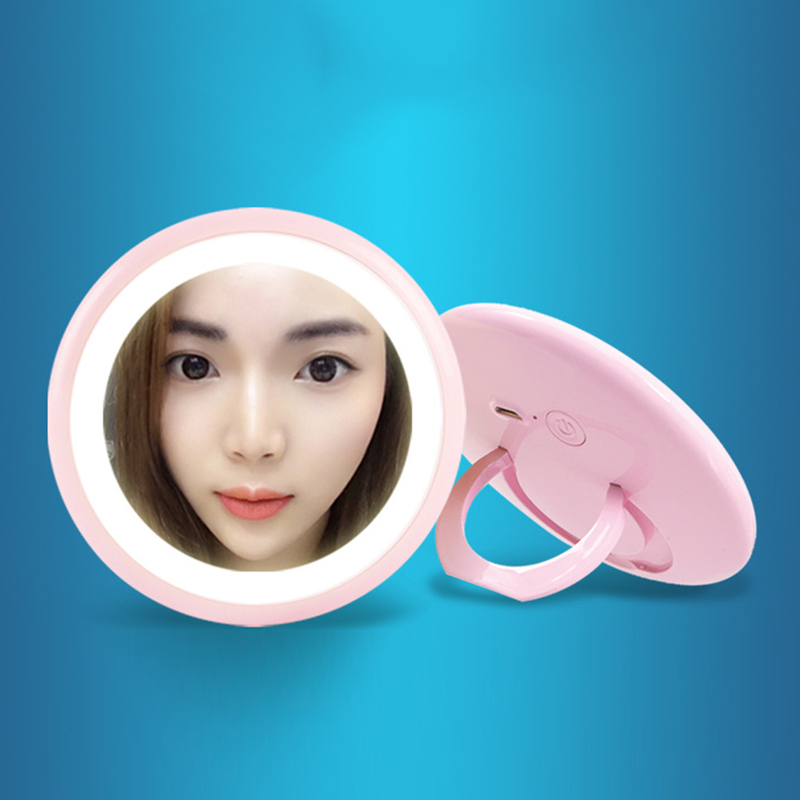 *LED Natural Light: With new innovative soft light technology, brightness is increased by 200%, the light source can look directly, not dazzling, illuminate your beauty.